Puri: Sea of devotees thronged the pilgrim town Puri to witness Rath Yatra of Lord Jagannath and his siblings on Saturday. As per schedule, the rituals began for the nine-day festival much early on Saturday. 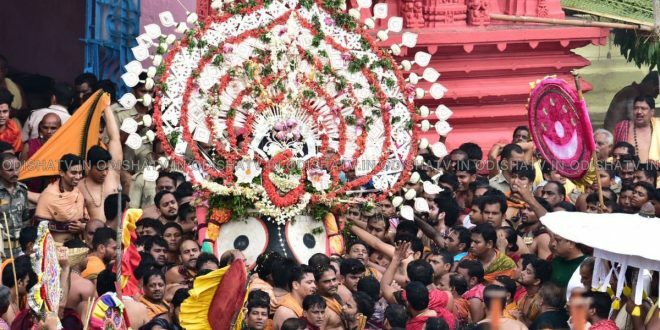 Amid loud chants of Hari Bola, the Pahandi (procession) of the deities began as the devotees waited outside the 12th-century shrine to have a glimpse of the Trinity–Lord Jagannath, Balabhadra and Goddess Subhadra. Lords were carried out of the ‘sanctum sanctorum’ and decked up with ‘Tahias’ (floral crowns) to take part in the ceremonial procession. The Pahandi began with the idol of Lord Sudarshan being escorted to Goddess Subhadra’s chariot. Lord Sudarashn was followed by the elder brother Lord Balabhadra who was taken in grand procession to his chariot Taladhwaja. The Pahandi of the Goddess Subhadra was started later. The Goddess climbed atop her twelve-wheeler ‘Darpadalan’ chariot. 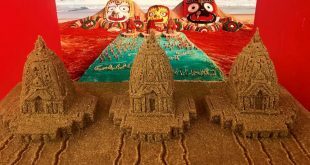 The ‘Pahandi’ of the cynosure and darling of the crowd Lord Jagannath’s has started and the Lord has been escorted to Nandighosh, the chariot of the Lord of the Universe. 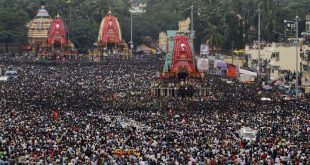 Meanwhile, Prime Minister Narendra Modi and Odisha Chief Minister Naveen Patnaik on Saturday wished people on the occasion of Ratha Jatra. Taking to Twitter, PM Modi wished for growth of the country with the blessings of Lord Jagannath. “Greetings on the auspicious occasion of Rath Yatra. With the blessings of Lord Jagannath, may our country scale new heights of growth. May every Indian be happy and prosperous. Jai Jagannath!,” tweeted the Prime Minister. 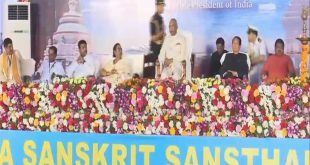 Similarly, Odisha Chief Minister wished for development of the state and prosperity of one and all with the blessings of the Lord. “Warm wishes on occasion of holy #RathYatra. May Lord Jagannath guide us on path of peace, prosperity & unity,” tweeted Patnaik.